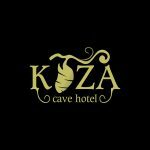 Bringing a new level of eco-inspired chic to Göreme, Koza Cave is a masterclass in stylish sustainable tourism. Passionate owner Derviş spent decades living in Holland and has incorporated Dutch eco-sensibility into every cave crevice of the 10 stunning rooms. Grey water is reused, and recycled materials and local handcrafted furniture are utilised in abundance to create sophisticated spaces. 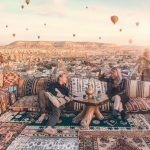 Stay in a cave room, enjoy our amazing views and get a taste of Cappadocia. ©Koza Cave Hotel "All rights reserved."